Invite your nearest and dearest to celebrate the seventh day of Christmastide in style thanks to our striking Art Deco Geo 2018 New Year Party Invitations. 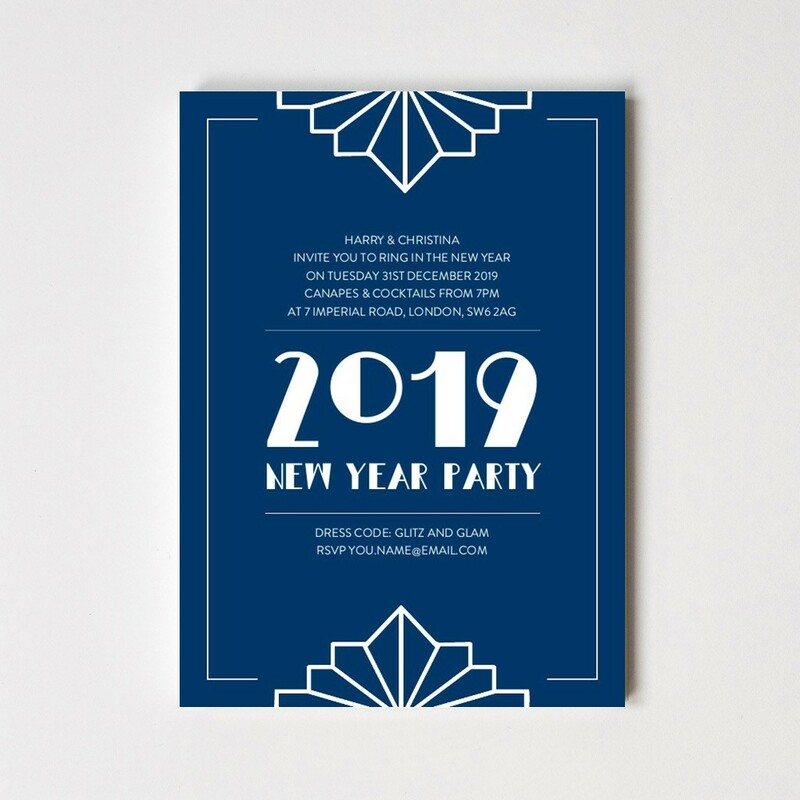 Beautifully printed on 400gsm paper stock using a classic combination of navy blue and white lettering, our party invitations will look splendid propped on the mantelpiece. Complete with White 160gsm envelopes, our striking Art Deco Geo 2018 New Year Party Invitations measure 7" x 5".